The Salzburg Advent Festival is a mainstay of Christmas music culture in Salzburg. Enjoy Christmas concerts in Salzburg! Salzburg is a stronghold when it comes to art and culture. It is a place full of tradition and history, and a true paradise for children and everyone who is young at heart. Salzburg is a metropolis on a small scale. From the Gersberg Alm you will enjoy beautiful panoramic views of Salzburg and it only takes a short drive to reach the city centre. Art, culture and tradition: The Salzburg Festival, upmarket concerts, Mozart Week, the Rupertikirtag city fair, Jazz & The City, theatrical performances, the Salzburg Advent Festival and idyllic Christmas markets are always worth a visit. Shopping: Getreidegasse with its wrought iron signs, Linzergasse with its charming boutiques, the colourful Europark shopping centre and the McArthur Glen Designer Outlet invite you to have fun shopping in Salzburg. Sights: Attractions such as the zoo, Hellbrunn Palace and many worthwhile churches, historical buildings and squares make a holiday in Salzburg a one-of-a-kind experience. 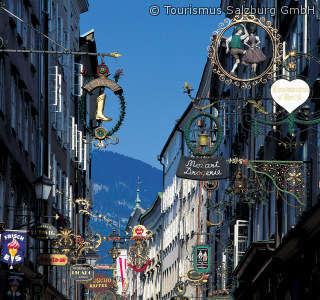 History: City tours, museums and exhibitions let you take a walk through Salzburg's historic past. 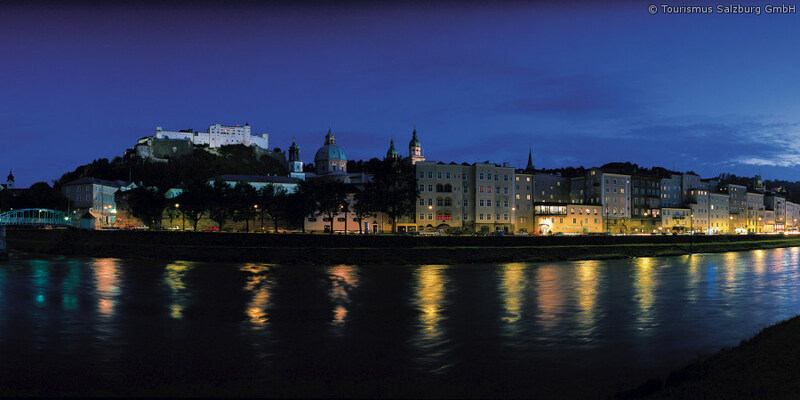 The historic Hohensalzburg Fortress reigns over the old town's romantic narrow streets. The Salzach River winds through the magical historical city centre. This picturesque silhouette of the city is unmistakable and so beautiful that it was long ago named a UNESCO World Heritage Site. Nestled into a beautiful setting, the Gersberg Alm is perfect for relaxing after a fun day in the city. Plan your next day over a delicious dinner and drift off into sleep in your soft, cosy bed. Send us your non-binding enquiry today – we look forward to welcoming you to the Gersberg Alm!